Mechanical Testing, Inc. (MTI) is an independent FAA Certified Part 107 UAV contractor. Our main goal is to provide our clients with reliable and repeatable aerial services from all angles in the sky. 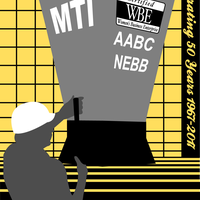 Mechanical Testing and it's officer's are currently members in good standing with; Eastern Contractor's Association (ECA), Northeastern Subcontractors Association (NESCA), National Association of Women In Construction (NAWIC), American Society of Heating, Refrigerating, Air Conditioning Engineers(ASHRAE), Associated Air Balance Council (AABC), National Environmental Balancing Bureau (NEBB), United States Green Building Council (USGBC). It is our pleasure to take some of the "pain" out of the construction process by bringing our organizational skill sets to light on your project. We have a professional approach that will give you the confidence in our abilities to make your life easier. Whether you are a Building Owner, General Contractor, Commissioning Agent or Mechanical Contractor, Mechanical Testing can help bring your project to a close accurately, timely and professionally.